Michael is gone this week so I obviously did not cook. Averi ate bagel bites for dinner last night, plus raw cauliflower and kale. Cause I couldnâ€™t even be bothered to cook the veggies. 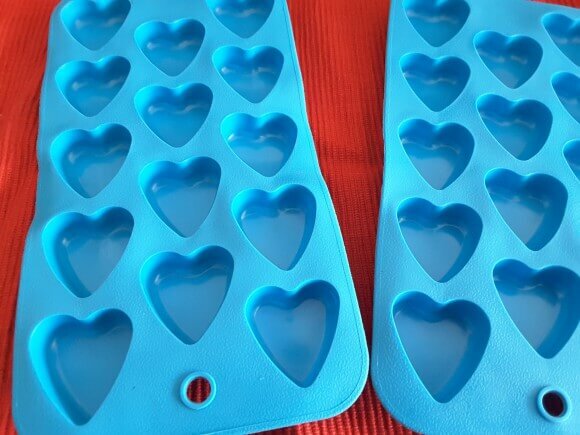 ðŸ™‚ So in order to have something for the blog (plus to gorge on while binge watching horrible tv after Averi goes to bed since no one would be there to judge me) Averi and I were going to make heart shaped fudge for Valentines Day. After a bit I was tired of talking to her and I wanted to get her in bed and move on with my evening. Vanderpump Rules was about to start. ðŸ™‚ So I told her that if the conversation ended right then that there would be no consequences from it. If it didnâ€™t end, she would accrue one punishment for each minute that she continued to stand there crying. So the first minute she lost her iPad for the next day. Second minute she lost dessert. Third minute it was iPad for week. Fourth minute it was dessert for week. And the fifth minute brought on no chore money for entire week. At that point Averi did stop crying. So that she could say to me â€œI donâ€™t understand what you are doing with these punishments. I am only ruining your night, but you are ruining my whole week.â€� I laughed then explained why the punishment must be worse then the crime, in order to deter her from thinking there would be a benefit to doing it again. She apologized. But the no dessert card had already been thrown. So it didnâ€™t seem right to make the fudge hearts. Iâ€™ve been eating marshmallows mixed with chocolate chips at night instead. It is delicious. But next week there will be fudge hearts.